The voltage supplied to the track can be a bit high from some DCC centrals. 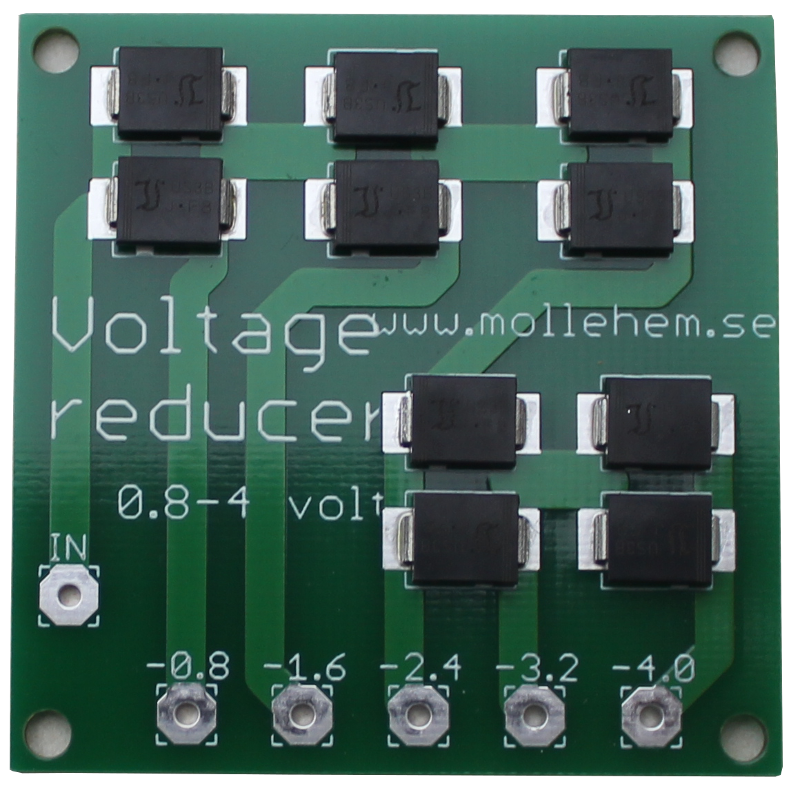 This voltage reducer is connected between the DCC central and the track with one of the track cables and will then reduce the voltage with up to 4 volts. Connect by soldering the wires to the card .